I've got 3 baked spaghetti squash recipes that are healthy and easy to make. 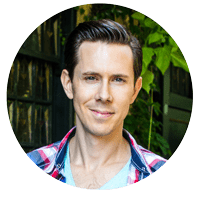 I'll show you the best way to cut and roast the spaghetti squash, and even how to figure out the carbs. 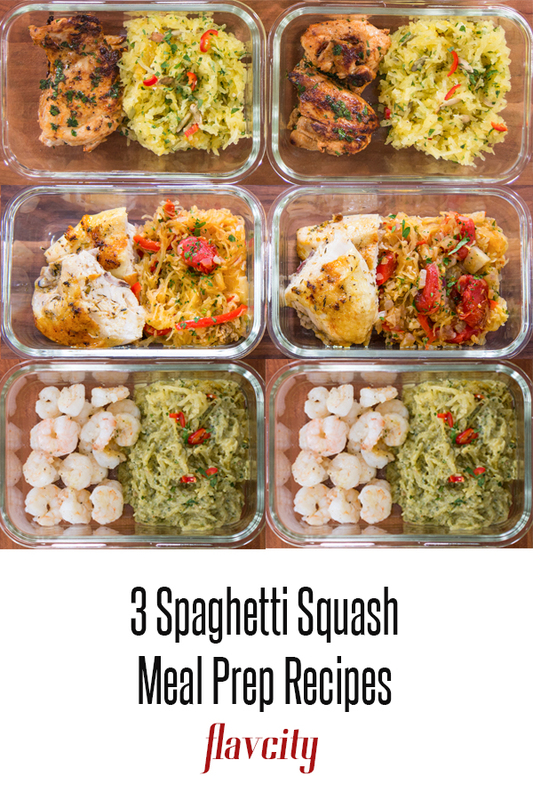 These baked spaghetti squash recipes are perfect for the fall and if you are looking for healthy meal prep recipes. First up we have my Greek chicken meal prep with spaghetti squash primavera. It’s loaded with lots of yummy veggies and I show you guys the best way to bake the spaghetti squash and pull those beautiful strands of spaghetti. Next up is my roasted spaghetti squash tossed with creamy ricotta and herb pesto sauce and served with juicy pan seared shrimp. Finally, I am hooking you up with a simple oven baked spaghetti squash with herbs, chiles, and cheese, served with yogurt marinated chicken thighs. All of the recipes are designed to make 5 meal preps for the week. The best way to cook spaghetti squash is to bake it in the oven. First you will need to safely cut the spaghetti squash in half lengthwise, watch the video in this post to see how I do this. To avoid cutting yourself, place an 8-inch chefs knife running the long way of the squash and use a rolling pin to tap the knife through. Spaghetti squash is very hard, so you don’t want your fingers anywhere near the knife while chopping it. To cook the spaghetti squash, preheat your oven to 400 degrees F and scoop out the seeds of the squash. You can save those later for roasting, just like you would pumpkin seeds. Season the inside of the spaghetti squash with a good shot of olive oil, generous pinch of salt, and a few cracks of pepper. Roast in the oven for about 75 minutes or until the spaghetti squash can easily be pierced with a sharp knife. Let cool at room temperature for 10-15 minutes before attempting to rake the strands of squash out with a fork. Otherwise it’s just too darn hot to handle. One large spaghetti squash has 15 grams of net carbs and 22 grams of total carbs, making it very keto diet friendly. To be more accurate, you can weight your spaghetti squash and then calculate the carbs. Every 1 ounce of spaghetti squash has 0.80 grams of net carbs and 1.20 grams of total carbs. The difference between net and total carbs is when you subtract the amount of fiber in the food item. If you are curious about spaghetti squash calories, a large one only has 196 calories or 10 calories per ounce, which means that spaghetti squash is the perfect veggie for losing weight. This meal prep recipe makes 5 servings for the week and features juicy bone-on and skin-on chicken breast baked in the oven with a yummy Greek marinade with lots of olive oil, lemon juice, and herbs. That is paired with baked spaghetti squash tossed with plump roasted cherry tomatoes, sweet fennel, red peppers, good extra virgin olive oil, and herbs. 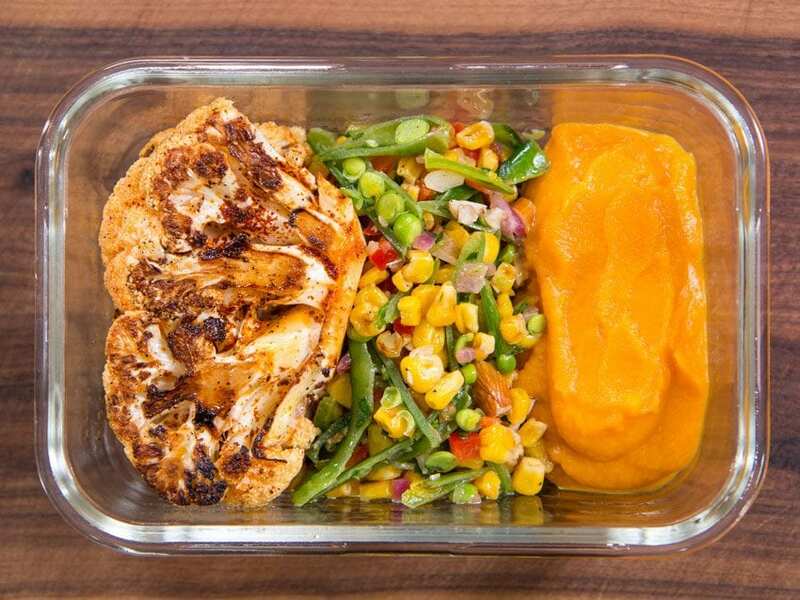 This meal prep recipe is keto friendly and perfect for losing weight without sacrificing flavor! 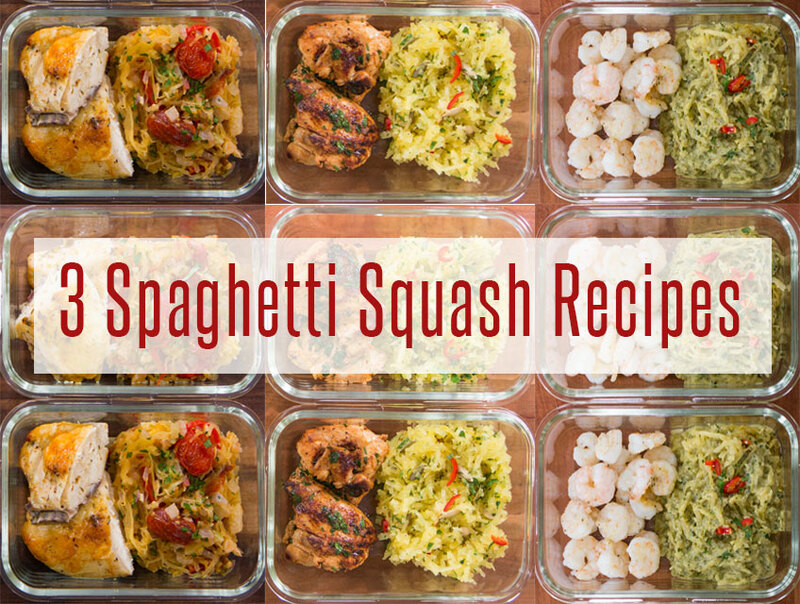 Get the Spaghetti squash recipe here. The quickest way to cook spaghetti squash is in the microwave, but it won’t have to same roasted flavor as if you baked it in the oven. In fact, we made spaghetti squash in the microwave on our episode of Guy’s Grocery Game, which we won and took home $18,000! All you need to do to cook the spaghetti squash in the microwave is follow my steps above for safely cutting the squash in half and scooping out the seeds. Turn the squash cut side down, poke it a dozen times with a sharp knife so the steam can escape during cooking, and place it cut side down directly on the plate inside the microwave. Cook on high for 12-16 minutes or until a sharp knife can easily piece the squash. Wait for the spaghetti squash to cool down and use a fork to rake the flesh and create spaghetti strands. You can only keep cooked shrimp and most seafood in the fridge for 3 days, so either make more after day 3 or freeze some. The spaghetti squash is roasted in the oven with olive oil, pulled into strands, and tossed with a homemade ricotta pesto sauce that is creamy and fresh. It’s a great low carb meal prep recipe for the week. 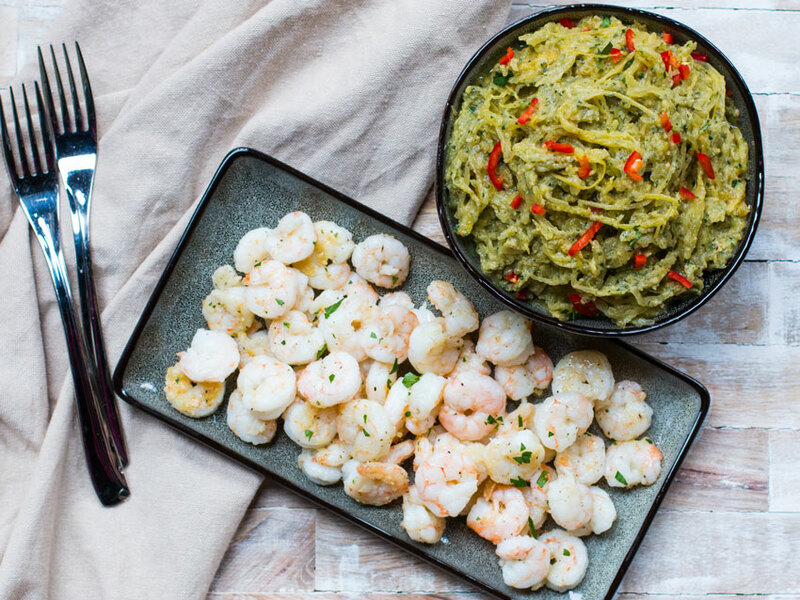 Here’s the full recipe for the Spaghetti Squash Pesto with Shrimp. I love how simple this meal prep recipe is. The spaghetti squash is baked in the oven with salt and pepper, and then tossed with grated Parmesan cheese, herbs, lemon juice, and sliced chiles. It’s served with yogurt marinated chicken thighs with a delightful spice crust and an easy pan sauce. 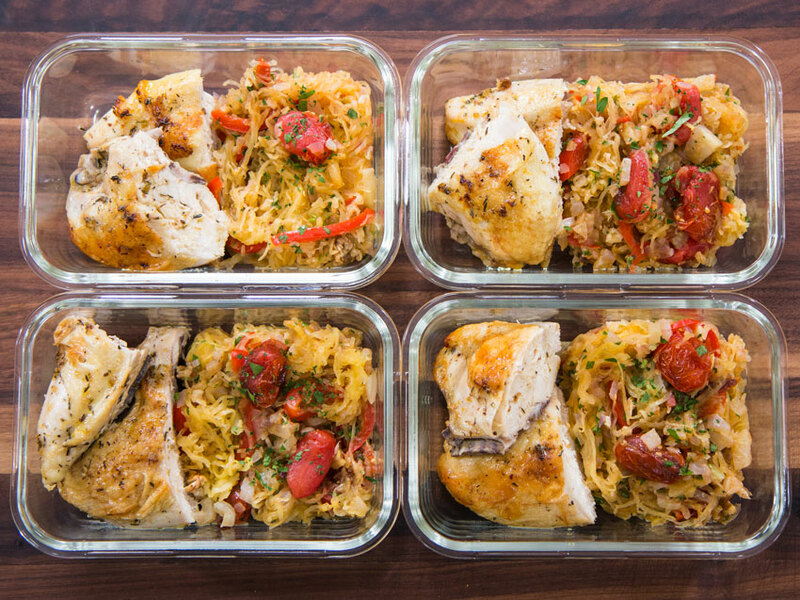 This meal prep is low carb, healthy, and will hook you up with 5 servings for the week. 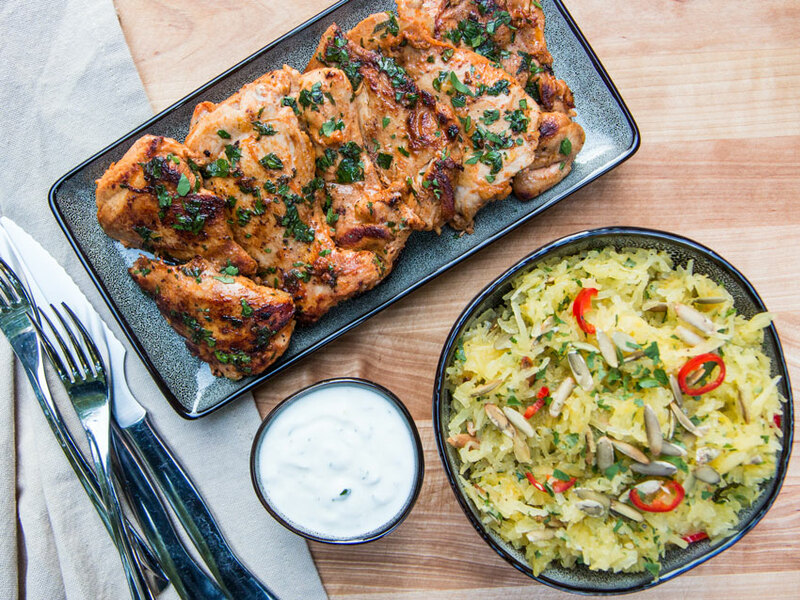 Here’s the Roasted Spaghetti Squash and Yogurt Marinated Chicken recipe. Each of the recipes on that blog post has a link to the individual recipe’s page. The recipe there has a red “print” button right next to it.